Quality Sandblasting Equipment For Every Need | Made in the USA! How to Buy the Right Machine the First Time! Media Blast is committed to helping businesses and consumers buy the right machine the first time. Our unique Buying Guide takes customers through a series of questions designed to deliver them to the right machine for their application. Use our Buying Guide Demo video for a quick explanation of how the Buying Guide works. 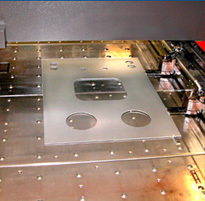 In 1977, Media Blast and Abrasive, Inc. began manufacturing abrasive blast cabinets. Since then, we have put together one of the largest, most complete lines of wet and dry blast cabinets offered in the industry. We remain dedicated to supplying customers with superior quality, workmanship and dependability with every piece of sandblasting equipment we build. Competing manufacturers do not offer many of our standard and optional features. Our mission is to offer the best variety of light duty and production sandblasters, at competitive prices, with a value unmatched in the industry today. To that end, Media Blast builds dependable semi-automatic, custom and special, one-of-a-kind units to fit even the toughest application requirements. 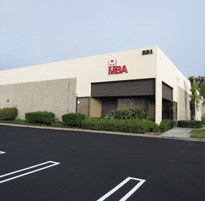 All Media Blast and Abrasive machines are manufactured in the U.S.A. at our state-of-the-art facility in Brea, California. Our employees are trained to assist customers in selecting the right blasting cabinet that will best suit their needs. We invite our customers to call the factory for answers to any questions they may have about our sandblasting equipment or blasting in general.